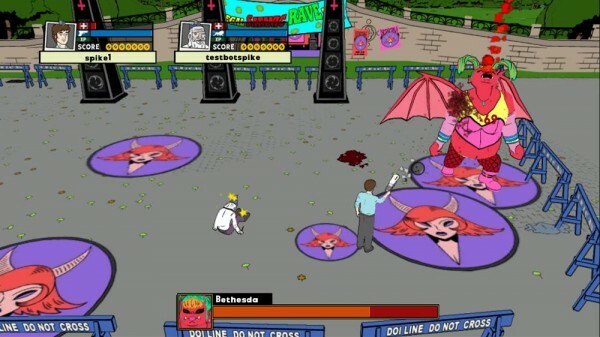 Ugly Americans: Apocalypsegeddon was developed by Backbone Entertainment and co-published by 345 Games and Comedy Central. 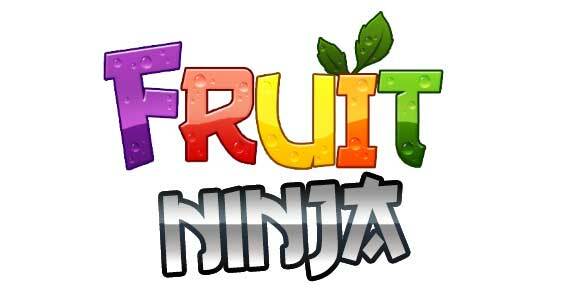 It was released on August 31, 2011 for 800 MSP. A copy provided for review purposes. 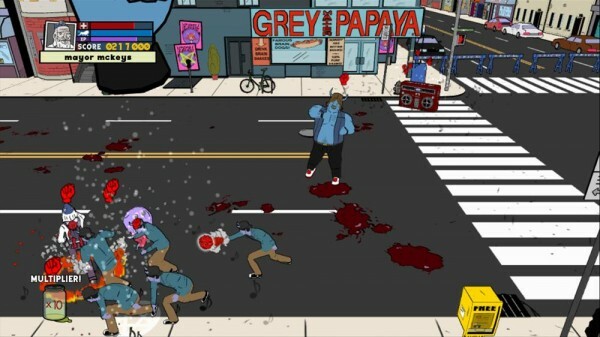 Ugly Americans: Apocalypsegeddon is based off of the hit series on Comedy Central, Ugly Americans, where they seemingly take every horrific devil spawn, mythical creature and odd ball and let them all coincide in New York City. The game is based around this concept; the idea is that the devils daughter is getting married, which is going to cause the end of days. It’s now your job as a member of the Department of Integration (D.O.I.) to stop this marriage and the impending doom of the world before it’s too late. You will join Mark, Callie, Leonard and Frank in this twin-stick adventure across New York to battle demons, man-birds and the devils daughter herself. Plot – This story is about as far fetched as they come, you have Mark who used to date one of the devils daughters and works for the D.O.I., helping all the mythical creatures learn to get along in our world. Now Mark and a few friends including Frank, head of D.O.I. Law Enforcement, Leonard, a very old wizard who is now a desk jockey at D.O.I. and Callie, your immediate supervisor, ex-girlfriend and the daughter of the devil are out to save the world. As if the combination of characters wasn’t goofy enough, there is an amazingly funny story here to follow as you journey through New York City. Weapons – These things are all over the place, from dentures to fire extinguishers to even using rubber chickens. Each one works in its own way, allowing you to find a weapon that works best for with your style of play or for a specific level/boss. Of course like all games with multiple weapons, some of them prove almost useless, but even those weapons are still fun and worth using momentarily, if only to see how they work. Extras – The extras actually add to this game unlike most games that seem to throw them for fluff. These unlockables were definitely well thought out and deliberately planned. They give you all kinds of things, deleted scenes, extra weapons, even a little mini story that is well worth the watch. More games should take heed from these extras and try to mimic them a little more closely. Demon babies – Finally collectibles that were done in a way that doesn’t make you feel like ripping your own hair out. There are only a few of these in game and you don’t have to wonder whether or not to look for them. Instead of there being one hidden in each level (like the hidden files, more on that later) they are marked when they are to be found in the leve. On top of all this there are only four babies, so it won’t take you all day to find them, plus each one grants you a unique ability well worth having. Too short – It was saddening to sit down with this game and be able to play through it in under three hours first go. Now this doesn’t include getting all the collectibles or weapons, but still disappointing nonetheless. This game has a lot of potential for tons of levels, but instead they decided to keep it short and unfortunately not very sweet. Level design – This is one of the biggest draw backs to this game; by level three you’re already tired of the scenery. The game takes place in New York City, there are plenty of places they could have gone through. Since all these demons come from hell and you work for the D.O.I. hell or the office could have made for additional backdrops to change things up. Instead you’re stuck feeling like you’re playing something from back-in-the-day during the 8 or 16-bit era where pallet swapping was the best we could get if we wanted a big game (which this is not). D.O.I. files – These are the perfect example of what not to do with collectibles. Not only do they seem to be practically impossible to find, but also very random as to whether or not they even show up. These are needed to unlock every “extra” in the game, which includes some of the best weapons. This is very sad as the demon babies were done in a great and very different way, yet in the same game they have these horrible items you must dredge through levels time and time again hoping to find. 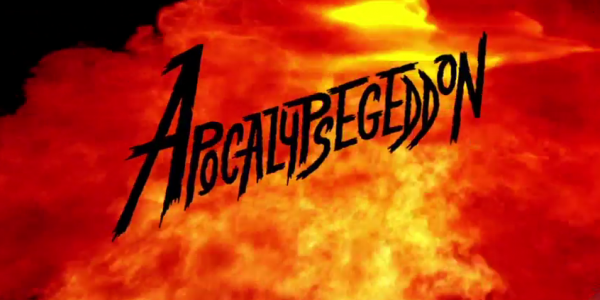 All and all in the end Ugly Americans: Apocalypsegeddon isn’t a bad game. The plot was quite good, but not enough to carry the weight of the entire game. This isn’t a bad entry into the twin-stick genre, but is definitely not the best one either as it takes no major leaps in innovation. If you’re looking for a little bit of fun and goofiness or are just a huge twin-stick shoot ’em up nut, this might be the next game for you.